I have for sale a total of five (5) Graves Registration Service Personal Effects Bags (QM Stock Number 27-B-250). 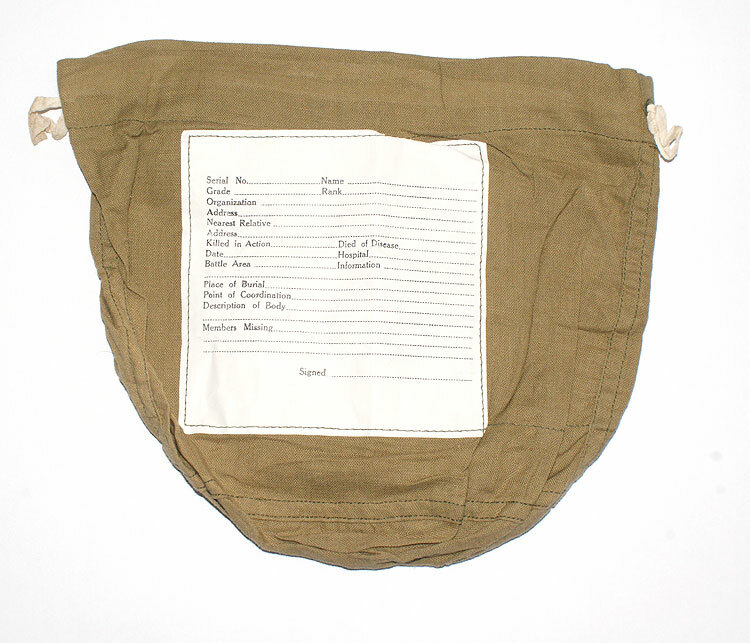 These Bags were used to pack effects found on body remains in order to return them to the next of kin of the deceased soldier. If anyone is interested in these pieces, kindly contact me via Private Message or email (ben@med-dept.com).